The Brightside Cowskin & Calf Cat Collars - Holly & Lil Collars Handmade in Britain, Leather dog collars, leads & Dog harnesses. 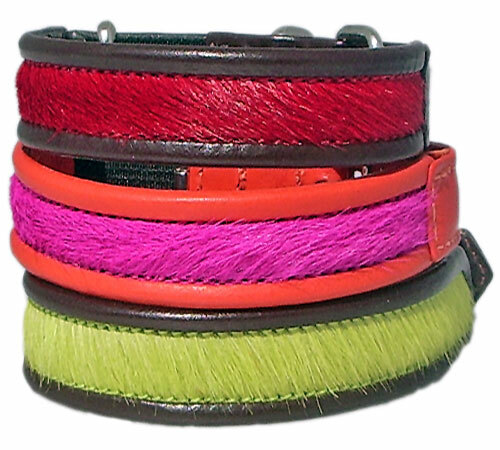 Vivid Cowskin collars piped and backed with Calf - fabulous. All come with an elastic safety "bit" - the collars have a 1/2" half buckle and keeper , wideningto 5/8" at the back of the neck. They are about 12" long and suit most cats.